6 reasons our skin ages, and how we can help! Aside from the passage of time, there are other key factors in how our skin ages. 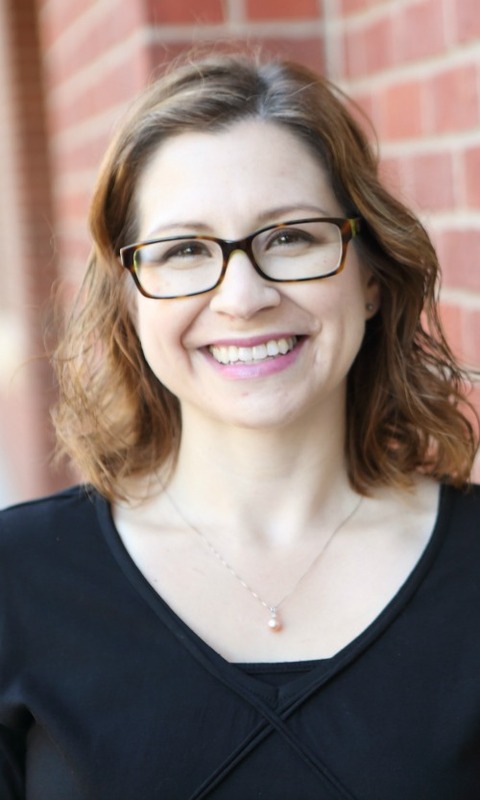 Our esthetician, Cassandra, shared some of the top reasons skin shows signs of aging and how the Rhonda Allison Minus 10 Facial helps to slow or reverse the aging process. 1% of collagen is lost naturally every year. The decreases in hormone levels impact cell renewal and elastin strength. The foaming peptide cleanser, Chronopeptide A, and peptide 38 used in the Minus 10 Facial provide firmness and minimizes wrinkles. The loss of the barrier function, or the skin’s natural ability to retain moisture, causes dry, dull skin. Omega 6 Essential Fatty Acids and Drops of Essence Hydration Drops used in the Minus 10 Facial support the barrier function by adding moisture and healing benefits to the skin. Causes for DNA breakdown can be smoking, pollution, toxins, UV radiation. Our body is always repairing DNA damage; however sometimes it goes too far and as a result the cells kill themselves. The Rhonda Allison eye and lip renew serum and Peptide 38 serum assist in preventing DNA breakdown. Adenosine triphosphate (ATP) is an energy source for cellular and muscular functions that is produced in the mitochondria. ATP is what makes out bodies run similar, to how a car uses a battery. Studies have shown that near the age of 60 our ATP ability is half. The Mandelic Arginine peel is used to increase cellular energy and stimulate collagen. Glycation is a process by which sugar molecules attach to proteins and lipids, hardening them and causing them to lose their collagen and elastin strength and elasticity. The AGEless serum in the Minus 10 Facial is an anti-glycation product. Increase in inflammation is stimulated by UV radiation, stress, and pollution. The milk mask provides inflammation support in the Minus 10 Facial with cooling and calming effects. Sheer tint moisturizer or Daytime Defense SPF 30 help prevent future inflammation from UV radiation. Cooling eye globes help to reduce inflammation and “cool” the feeling of the more active products. When skin loses volume and when the extracellular matrix that provides structural support to skin start to decline, skin starts to appear loose or sallow in areas. Chronopeptide A and the Hibiscus Peel in the Minus 10 facial help to provide support and increase volume. The Rhonda Allison Minus 10 facial addresses all of these causes of aging (except for reversing the passage of time, of course!) 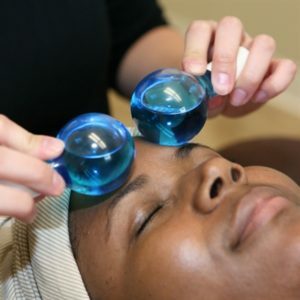 In addition, it is an incredibly nurturing service so you’ll appear instantly younger as your stress levels dissipate and your facial muscles relax! 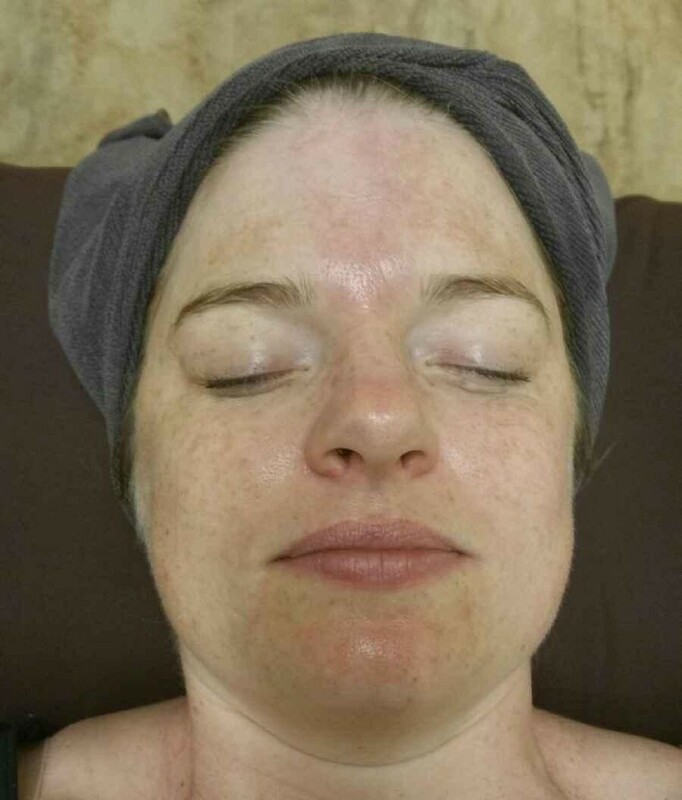 We recommend the Rhonda Allison Minus 10 facial in a series of 3 services a couple weeks apart for best results. Want to learn more or schedule your service online? Click here! 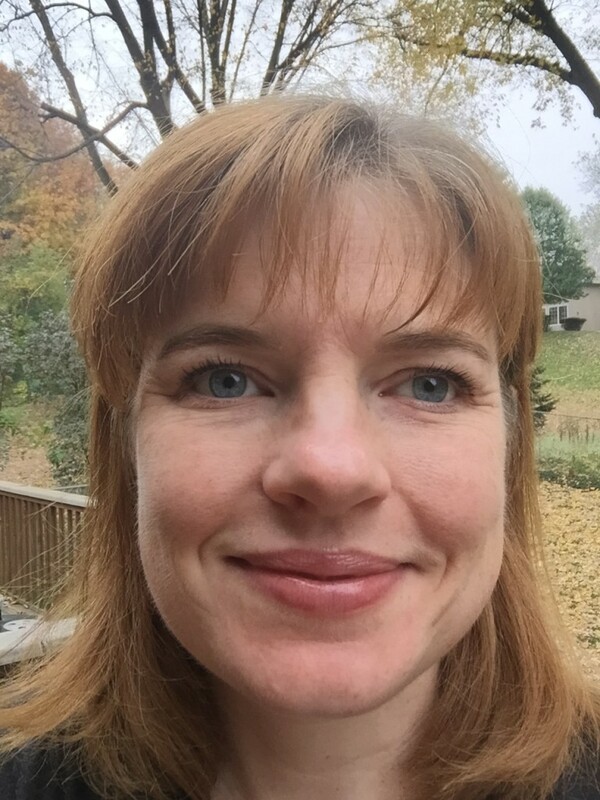 I was tickled when summer running and triathlon season was over and I could FINALLY find a stretch of time when (in theory) I wouldn’t be outside exercising for awhile and I could get a new Rhonda Allison peel! Our estheticians decided I needed to try a Vitamin A peel for general anti-aging, hyperpigmentation, and overall skin refining. This peel is best done in a series of 2-3, about 2-3 weeks apart. I am a real weenie about pain and I know that typically, some of the peels (even some of the more potent products used in the Rhonda Allison EV Signature Facials) can be warm or tingly so I made sure Cassandra had a fan at the ready for me to cool off my face. She started with a double cleanse, then products to suppress the melanin in my skin and break down the oil (a defatting agent-sounds glamorous) so the peel could penetrate properly. It is really quite a precise science and it is fun to learn the reasons behind each step. 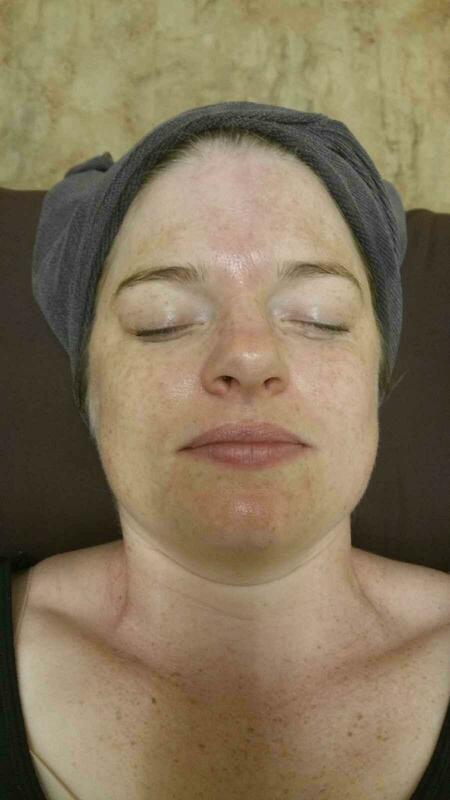 My “before” photo on the treatment table after a double cleanse. The peel products were surprisingly comfortable! I got a bit warm and tingly for a minute or two, but I’d have been fine without the fan. She didn’t have to wash them off at the end either, I was instructed to wear sunscreen if I went outside (I wasn’t going to see the light of day that day so no worries) but otherwise go to sleep without washing my face. The peel is just the first step in the process. The home care is also important as I quickly realized. I needed a more gentle cleanser than I usually use, the growth factor serum to help speed skin cell turnover, and the arnica therapy to help ease tenderness. Day 2: My skin was tight and looked great, no peeling, no redness. I was able to wear make-up as normal. I had to wear sunscreen (I should anyway!) and avoid outside workouts. Day 3: This was a Saturday and the day I started peeling. Camille and Cassandra were surprised I was peeling, they didn’t know if I would or not (everyone is different). I had travel plans to go to a concert in Minneapolis but it was Halloween and the show was in the dark so I didn’t care! I forgot to bring my Arnica Therapy and I regretted it. I felt like I had a pretty decent sunburn and I just had the growth factor serum as my only moisturizer (stupid) and my sunscreen. My peeling on day 3. 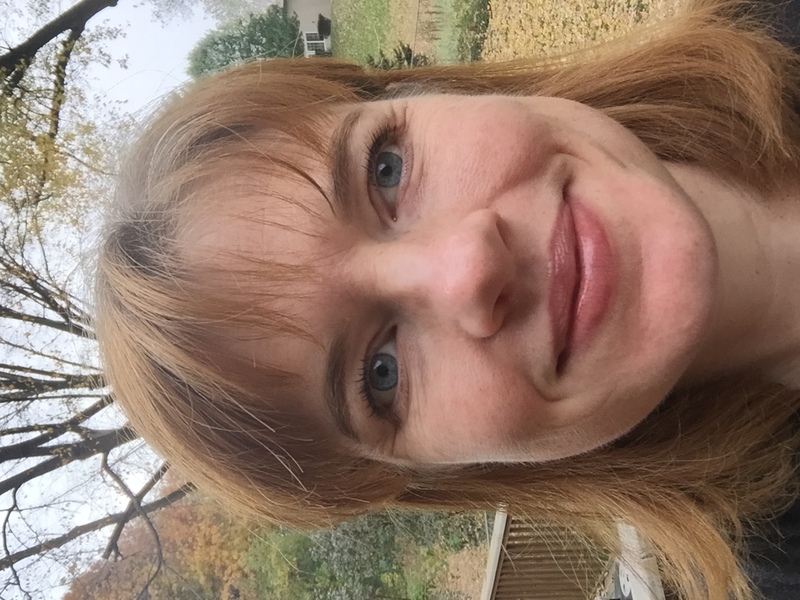 I peeled most around my mouth and forehead where my skin moves when I furrow my brow or talk). Day 4: This was a day of regrets. Remember in the first paragraph, I timed my peel to a period of no outdoor exercise. I couldn’t help myself. I LOVE running in other cities. So I went for a morning run in Minneapolis and enjoyed some wind burn. Ouchie! I got an “I told you so” from Camille and a reminder to use my Arnica Therapy when I got home. I felt heat and stinging on my face like sunburn the ride back, but the arnica therapy helped. When I took a shower with a milk cleanser, the peeling skin balled up a bit without me forcing it so I GENTLY sloughed with a washcloth and that helped. 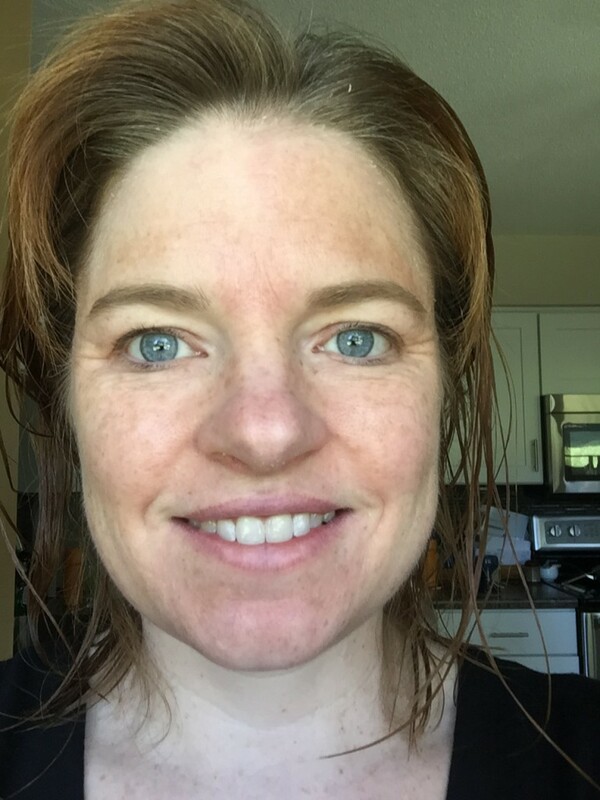 Day 5, no make-up, less face peeling-I did have my “skin beard” later in the day, my pores looked super small and the fine lines on my forehead and my “11s” were less noticeable. Day 5: When I woke up, I felt like most of the peeling had resolved and I was able to wear make-up to work. Then I realized under my chin was peeling so I had a pretty “skin beard” that nobody told me about for a couple of hours. My face didn’t feel hot like it did on Sunday (Day 4). My forehead was done peeling. Day 7: Today I was thrilled when I woke-up and washed my face! I could have gotten away with no foundation, except that my foundation IS my sunscreen for days I’m not outside. 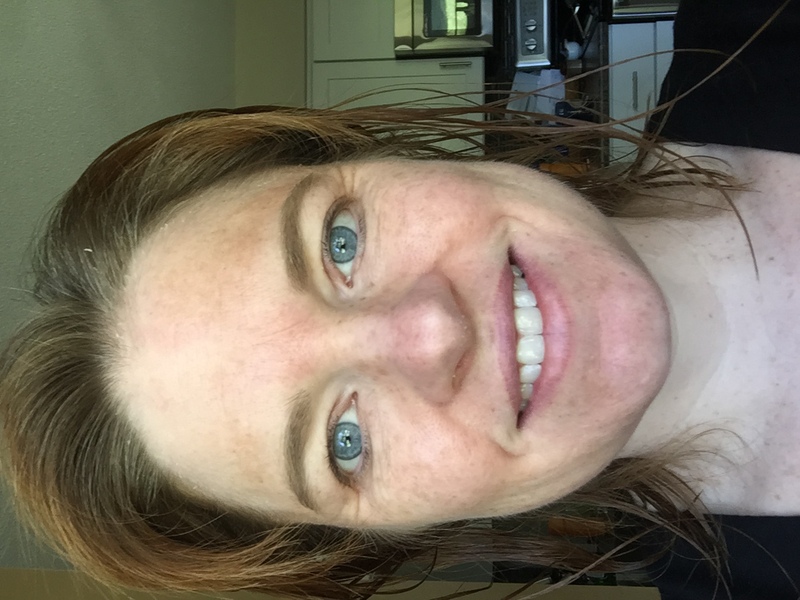 The thing that really blew me away today v. 2 days ago is how much lighter my freckles and sun spots are. Even a birthmark on my chin is lighter. People at work noticed too. I’m completely done peeling and I’m ready to go back to using my regular Rhonda Allison skin care products. No foundation or powder on, no editing. Natural light this morning. 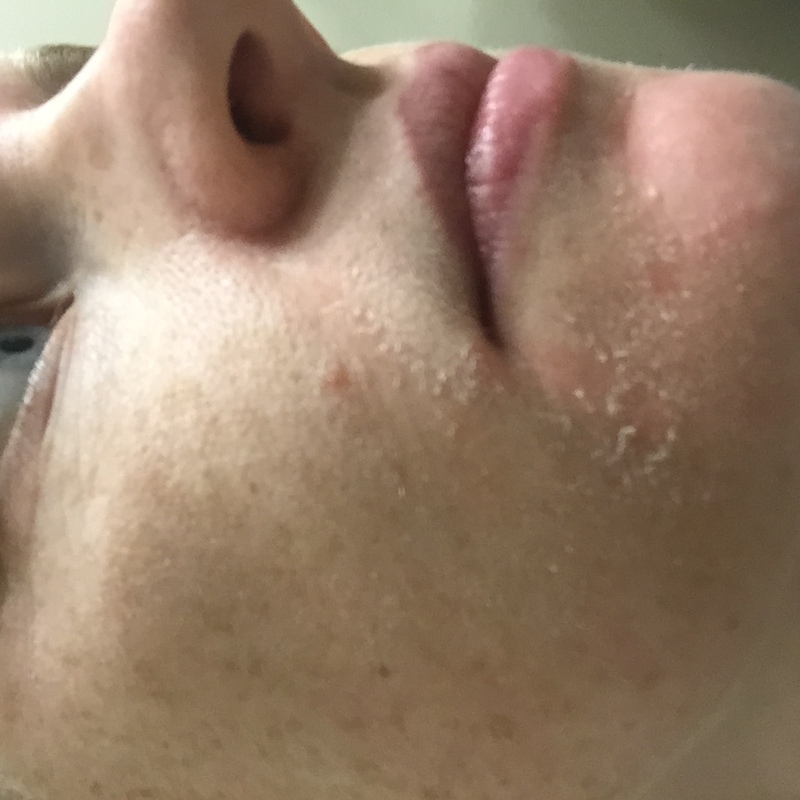 My take-aways: If you are going to peel, plan to do so when you don’t have to wear make-up or work out for about a week. 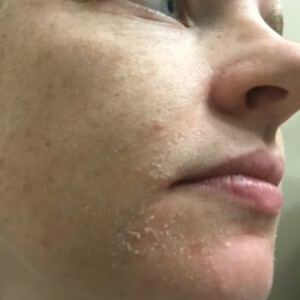 If you are someone who gets actual peeling, it is likely going to be worse on days 3-4 (this seems to be the consensus with everyone that has tried the peel and who does peel). Your skin will likely just look firm on day 2. Use the post-care! Rhonda Allison actually requires us to sell a post care kit to every peel client (we sell them at 40% off to peel clients). The products made a difference in my progress for sure. The growth factor serum made me peel faster and helped my skin turnover quickly. When I forgot the arnica therapy on my trip I was in pain! It really helps to heal skin. A gentle cleanser is also a must. This peel is best in a series so I’ll be getting another on in about 3 weeks and I’ll keep you posted! Curious about trying a peel? Because this service is more intense, discuss it with your esthetician at your next facial appointment and she will recommend the right one for you. Peels need to be done within 5 weeks of a regular facial so your esthetician has a chance to evaluate your skin (especially as skin changes with seasons) and determine what protocol is safest and most appropriate for your goals. We love Derma E and have for years but there are just a few products that stand head and shoulders above the rest. Some of the others aren’t as popular with our estheticians or clients. We have also felt like there was room for improvement in the array of masks offered. While we will still carry a huge selection of Very Clear, Evenly Radiant, Soothing, and Hydrating derma e products, we’ll have less of a few other lines. 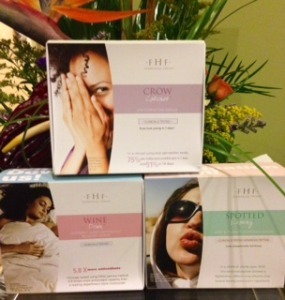 We’ll no longer be stocking the following Derma E products which are now 30% off while inventory lasts! 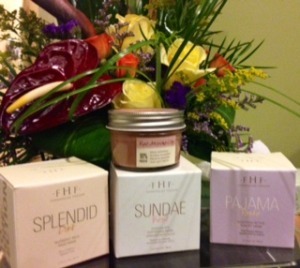 This will free up a few shelves so we can carry the Farmhouse Fresh masks and serums! The benefit of the serums is that they’ll work like a serum and eye cream in one, they have been proven effective in clinical trials, and we have really enjoyed working with them. In addition to the popular Sundae Best mask we’ve been loving in our special hot cocoa fall facial, we’re adding the rest of Farmhouse Fresh’s mask line to our treatment and retail mix!